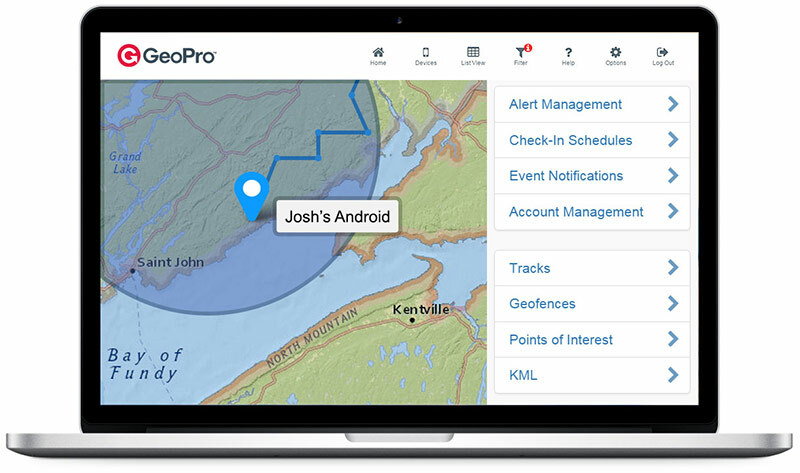 GeoPro is an employee check-in and safety alert monitoring solution that makes it easy to protect employees working alone. 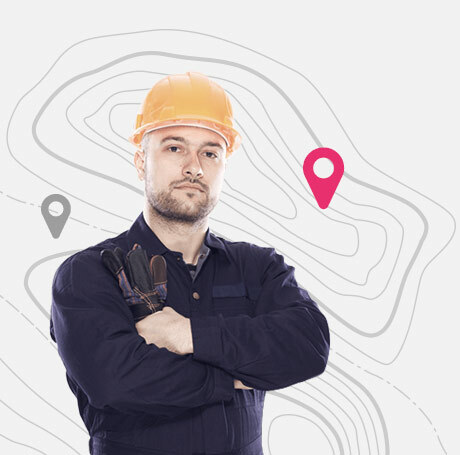 Whether your workforce is 10 or 1000, GeoPro can be quickly deployed to ensure the safety and protection of employees working alone – absolutely anywhere. Together with your choice of lone worker device or employee safety app for Android or iOS, our hosted emergency app and man down monitoring system is simply the easiest and most effective way to monitor employee well-being and respond to safety concerns. GeoPro helps employers minimize risk and address their duty of care for employees working alone. Around the corner or around the world, GeoPro-compatible lone worker devices safeguard employees working at even the most remote or isolated job sites. Using the GeoPro lone worker safety app on a smartphone or a satellite-enabled device, employees working alone can check in to let employers know they are safe or use the SOS button to trigger an emergency alert if their health or safety is threatened. Decide what you want to monitor and let GeoPro take care of the rest. The GeoPro web and mobile apps provide visibility of employees’ status and location displayed in a choice of web mapSupported maps include Bing Aerial, Bing Road, Open Street Maps, ESRI Imagery, ESRI Street, ESRI Gray, ESRI Dark Gray, ESRI Topographic, ESRI National Geographic and ESRI Ocean. If there’s an incident alert, it’s escalated immediately to those you designate. Rest easy. 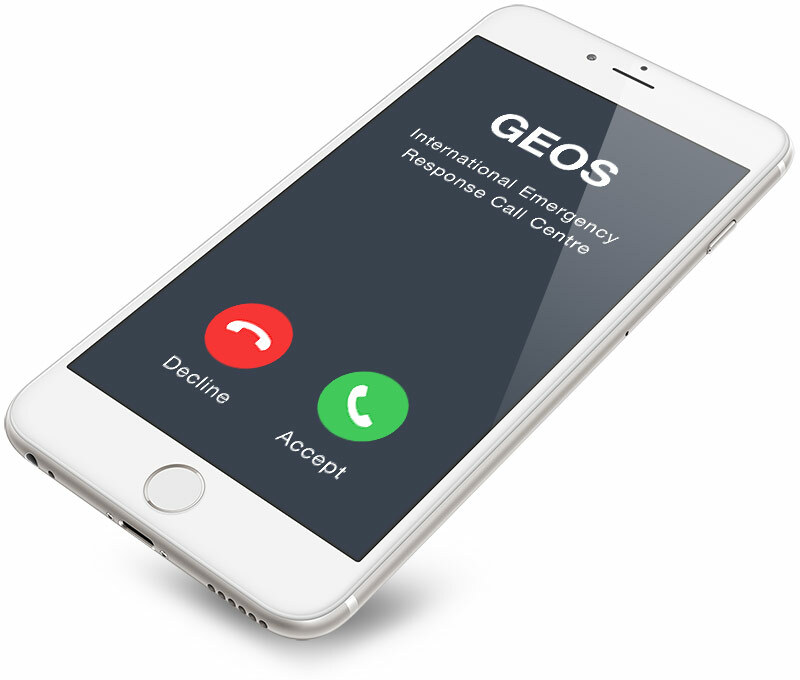 Our expert alert monitoring partner, GEOS, will stand watch around the clock so that you don’t have to. 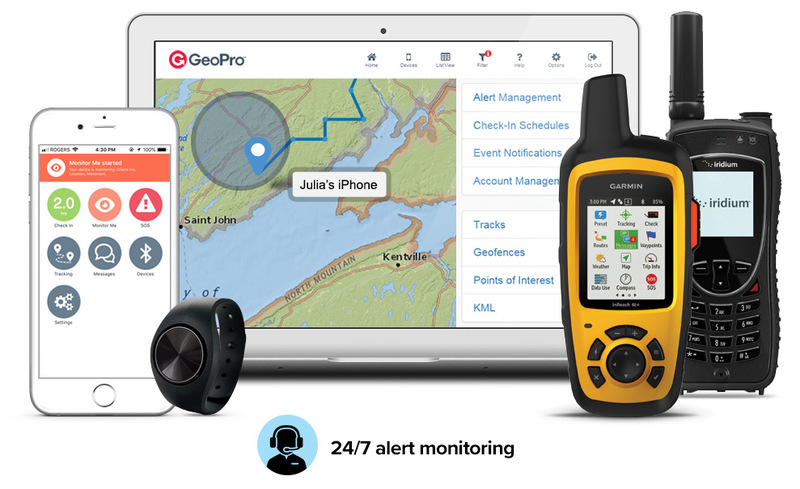 Or, you can use GeoPro to monitor employee check-in and safety alerts in-house. *GeoPro can be customized in all kinds of ways. Click to chat or contact us.